Grateful children have more friends. Grateful children are easy to have around. Grateful children are blessed - and they know it. It is easy to assume that we teach gratitude when we give a child something and then teach them to say “thank you.” I am all about teaching children to say thank you for gifts, to make that call to Grandma, to give a hug, or to send a handwritten thank you note. However, such instruction teaches children how to behave gratefully; it does not necessarily accomplish gratitude as a life skill. 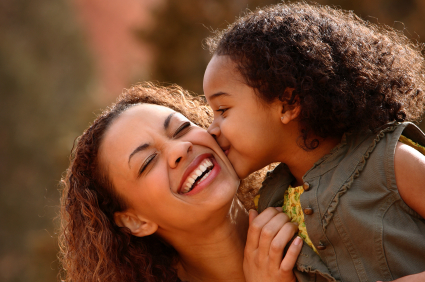 The way to teach gratitude is to offer your child an opportunity to give. When children get the opportunity to give, they are activating the empathy centers of the brain. For instance, when children give a pair of socks to the People City Mission, they begin to think about how good it feels to put on a new pair of socks. Then they can imagine someone else wearing the socks they are giving. This works to remind them of what they have. I love how God designed our brains! The world gives many messages of what it things our children NEED. With God’s help we can help them to feel gratitude for what they HAVE.